The roll of successful takers of September 2014 Chemist board examination can now be found on this page. PRC released the full list of passers on their portal, you'll be able to view all the names of successful examinees after this break. The Chemist Licensure Examination was held in Manila and conducted by the Board of Chemistry on the designated testing centers. The Agency conducted the exam once a year and usually they took 2 to 3 working days in order to release the official results online. The chairman of the Board of Chemistry is Ms. Adoracion P. Resurreccion, and Ms. Soledad S. Castañeda as member. You will be able to view here the Top 10 Passers of Chemist Board Exam September 2014. GoodFilipino.com would like to advise you to bookmark this page and kindly bookmark this page and share to your joined social networking sites. 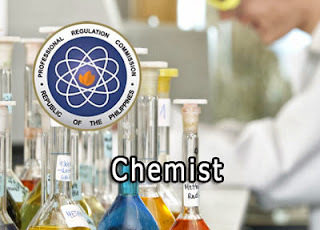 Comments or suggestions about "September 2014 Chemist Board Exam Results - Full List of Chemist Passers" is important to us, you may share it by using the comment box below.